Guess what? Even everyday French chefs go out from time to time. Luckily for me there is a cluster of great little bistros in my neighborhood, and none I like better than Au Passage. The other night I had a dessert there that was so addictively sublime that I had to have it again. 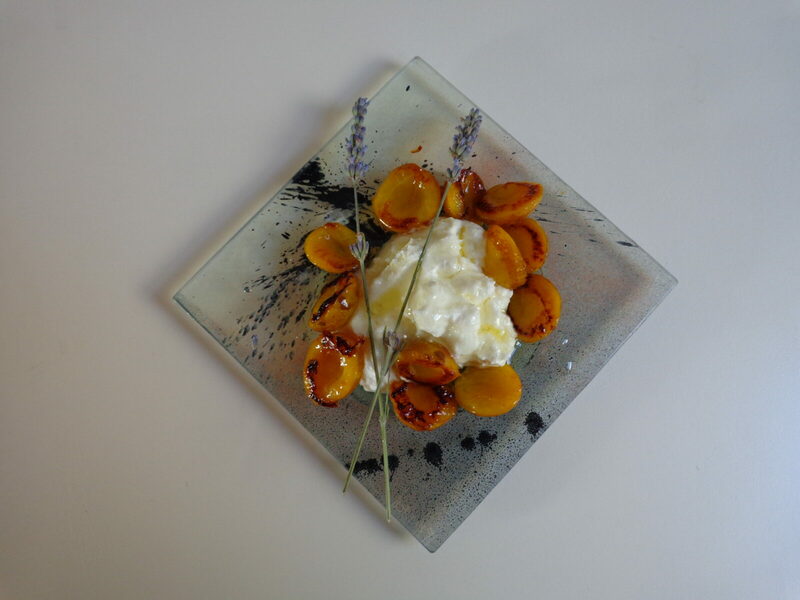 The name itself is enough to evoke Provence in the still of a summer evening: Ricotta with lavender and mirabelles, the sweet little yellow plums that appear in markets over here every August. I tried to duplicate the dessert a few days later, but it lacked some little je-ne-sais-quoi. So yesterday I wandered over to Au Passage and spoke with the chef, Shaun Kelly, who was kind enough to share his recipe. The Everyday French Chef will be back on Monday. In the meantime, happy cooking! 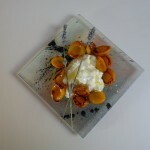 This entry was posted in Desserts and tagged lavande, lavender, mirabelles, plums, recipe, ricotta, shaun kelly. Bookmark the permalink. All these recipes look too good to be true, except that I happen to know that they are true, and truly delicious! The good news for those of us who don’t have Meg’s talent for whipping up a great meal on a moment’s notice, is that we now have a place to go, to get directions. Vive the EverydayFrenchChef!! I LOVE Au Passage! Thanks for this recipe, which will stave off my immediate longings until I can return. I’m always surprised by how lavender works with food. I was in Champagne recently where a filet of seabass was served with a sprig of lavender that gave just a tiny bit of flavour to the fish. It was sublime. Oh my. Oh miam. It’s getting better and better.